If you are in the market for an inexpensive compact 2-door sedan that drives like a modern car, but looks like a classic, the Datsun 510 isn't a bad choice. Prices have shot up in the past few years, but they are still within reach of the average used car buyer. 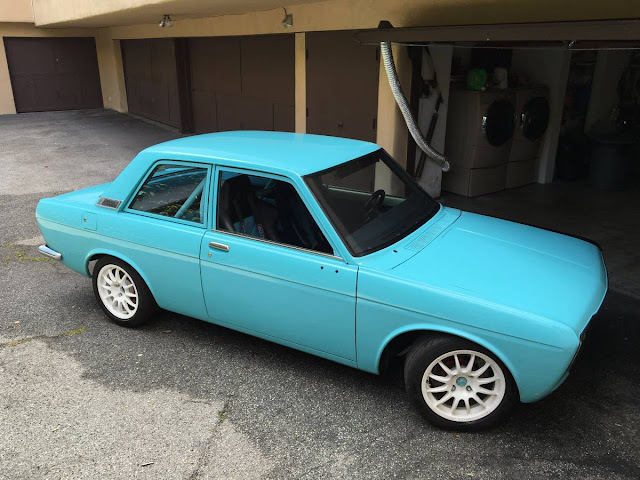 Find this 1969 Datsun 510 offered for $13,000 in Los Angeles, CA via craigslist. This teal blue 510 is an interesting value proposition at the current asking price -- it isn't an all-original classic that'll be worth beaucoup bucks when the 510 market skyrockets, but the seller claims to have over $40k in receipts from the previous owner (ouch, my wallet!). 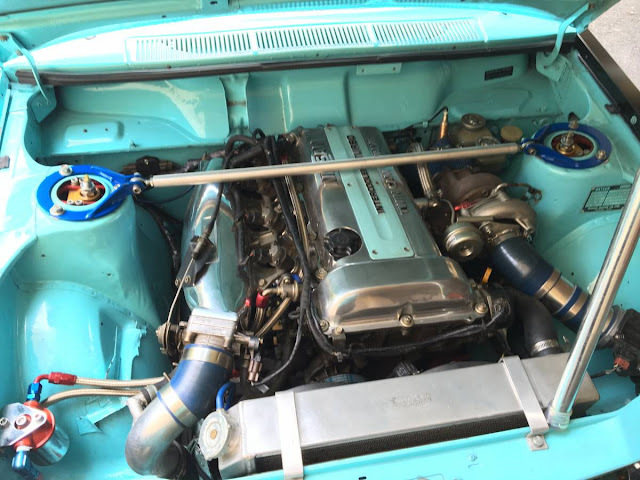 Under the hood is an SR20DET inline-4 from some other Nissan product. The DOHC 4-banger is turbocharged and intercooled, and while the seller doesn't quote any power figures, it should be in the 300+ horsepower range if properly done. 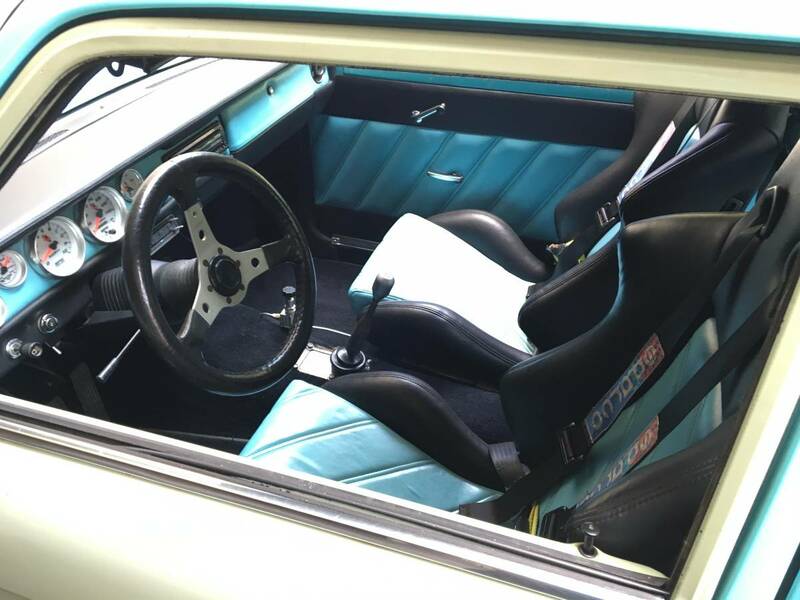 More aftermarket parts and stuff on the inside...but this car does have a few issues. 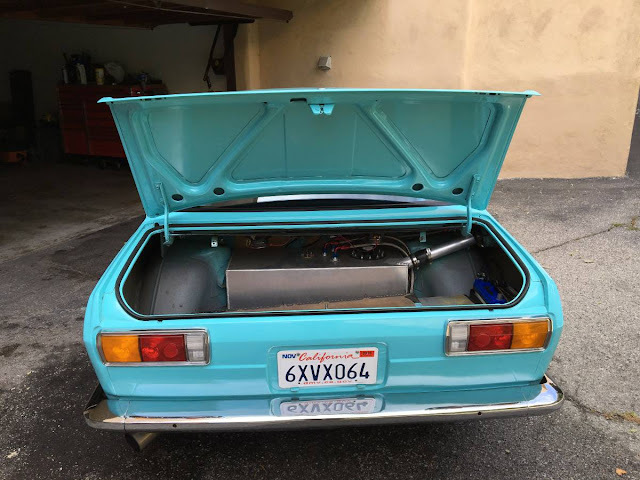 It was involved in a fender-bender that meant replacing the driver's fender and door, but they haven't been painted to match the aqua-blue...yet.